There's something wonderfully romantic about a train journey as opposed to a road trip or a flight or sailing. Settling into your cabin, exploring the cars, dressing for dinner, and falling asleep to the soothing lullaby of wheel against rail. In these days of instant gratification, it's almost a lost art - taking the time to enjoy days of luxurious travel, and appreciating the journey just as much as the destination. That's why some of the world's most lavish railways are bringing opulence back, with extravagant voyages to fascinating spaces, all the while cocooned in the grandeur of days gone by. 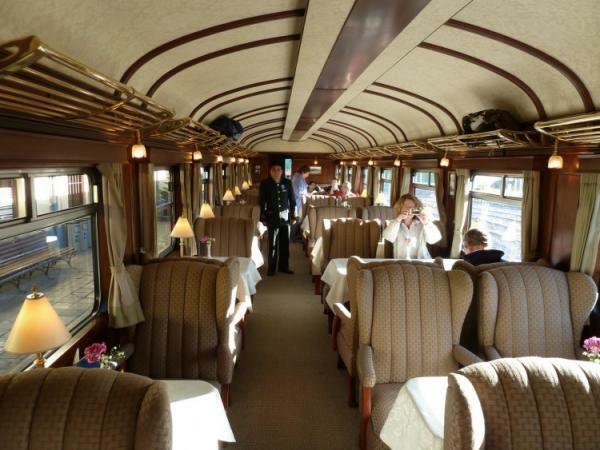 Make sure you get your lotto entries in before May 2017, as that's when the Belmond Andean Explorer will be making its maiden voyage. The first of its kind from South America, this 24-cabin luxury sleeper train will be making its way high across the Peruvian Andes, stopping on the way at Lake Titicaca, Colca Canyon, and Arequipa, a UNESCO World Heritage Site. Book your trip before each exquisitely furnished cabin is sold out, and look forward to extravagance from start to finish. It seems as if everything in rail is happening in May - at least where Japan is concerned. That's because May marks the launch of the new Train Suite Shiki-Shima, set to race through some of the country's most scenic landscapes. With just 10 cars and 17 suites, this small yet stylish train features a lounge, dining carriage and glass-walled cars too, ideal for an up-close-and-personal look at the forests and coastlines as they go rushing by. If you've always wanted to visit Japan, there's no more thrilling way to do it - and no more luxurious way either. India's reputation is already one of mystery and exoticism - and the recently refurbished Deccan Odyssey adds another chapter to this opulent story. 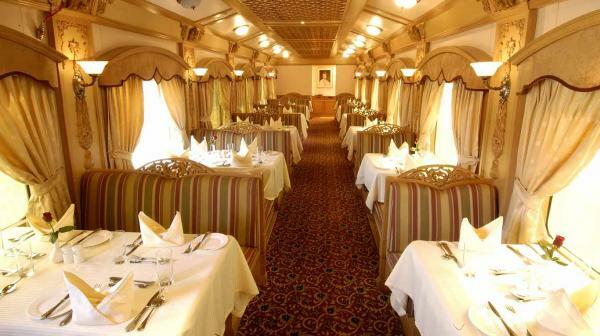 Think lavishly furnished interiors, artfully decorated exteriors, and onboard extravagances such as a spa and salon car. Choose from six possible itineraries, traversing cities, wilderness, forts and forests, and take a step back in time to old-world luxury and glamor. If you're a Port lover, you'll already be familiar with Portugal's famed Douro Valley - and now's your chance to become even more personally acquainted with it. Book your cabin aboard the newly restored Presidential Train and you'll know what it's like to be royalty, if even for a few days - as these carriages used to play host to the court of King D. Luís I, and other illustrious guests. With gourmet tasting menus, live entertainment and private access to the renowned Quinta do Vesúvio vineyard and estate, it's a journey you'll want to toast time and time again. Ready to ride that rail? One ticket from Giant Lottos could help get you another aboard any of these luxury lines, so get your entries in today. With a range of 14 international lotteries and raffles to choose from, you'll find more than enough multi-million jackpots to fill your bank account. Just choose your numbers, buy your ticket online, and you could soon be setting off on the adventure of a lifetime!